First Day: Kathmandu 1,400 meter (4,600 ft) – Suketar 2,420 m (7939 ft): 35 min flight. Second Day: Laikharka – Khesewa 2120 m (6,955 ft): 5 to 6 hrs. Third Day: Khesawa – Mamankhe 1920 m (6300 ft): 6 hrs. Fourth Day: Mamankhe – Yamphudin 2080 m (6825 ft): approx. 5 hrs. Fifth Day: Yamphudin – Tortong 3,000 m (9843 ft): 7 hrs. Sixth Day: Tortang – Tseram (Cheram) 3,870 m (12,696 ft): 6 hrs. Seventh Day: Rest Day at Cheram. Eighth Day: Tseram – Ramchaur 4,580 m (21109 ft): 5 hrs. Tenth Day: Tseram – Sele La 4300 m (14,107 ft): 6 hrs. Eleventh Day: Selela – Ghunsa 3475 m (11,401 ft): 4 hrs. Twelfth Day: Gunsha – Kambachen 4,050 m (13,287 ft): 5 hrs. Thirteenth Day: Kambachen – Lhonak 4780 m (15,683 ft): 4 hrs. Fourteenth Day: Lohnak – Kangchenjunga Base Camp 5143 m (16873 ft): approx. 4 hrs. Fifteenth Day: Return back to Lohnak from Pangpema. Sixteenth Day: Lhohnak – Ghunsa. Seventeenth Day: Gunsha – Amjilosa 2395 m (7857 ft): 7 hrs. 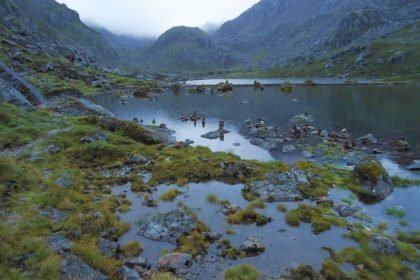 Eighteenth Day: Amjiilosa – Chiruwa 1,270 m (4,166 ft): 7 hrs. Nineteenth Day: Chirwa – Phurumbu 1,549 (5,082 ft): 5 hrs. Twentieth Day: Phurumbhu – Suketar: 4 hrs. Twenty first Day: Fly back to Kathmandu. Kanchenjunga Circuit Trek, one of the great adventure in Nepal that granting an incredible opportunity to experience different vegetation and fauna, remoteness, magnificent mountain landscapes, including nice local culture. The area located on the far eastern border between Nepal and Sikkim (India). Mount Kangchenjunga 8,586m (28170 ft) is the 3rd topmost peak on this planet, plus is seen as probably the most gorgeous mountain massifs on earth. The trekking trails run through Kanchanjunga Conservation Area (KCA), which was established in 1998. The entire region is equipped with diverse ecological regions, from the subtropical arena to frozen nature. 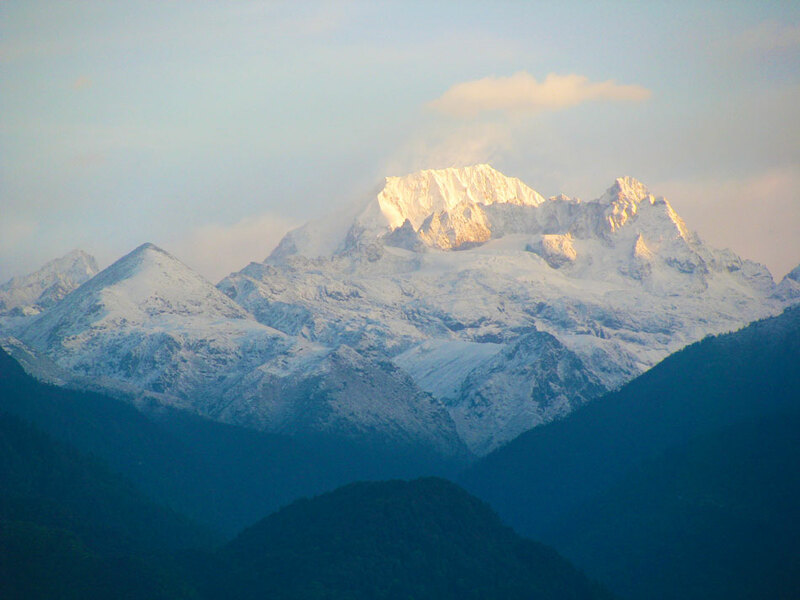 The term Kanchenjunga denotes ‘Five Treasures of the Fabulous Snow’ and that is in credit to the 5 summits which make up Kanchanjunga, is usually worshiped by the local people. Especially for a climber, it is restricted to ascend topmost point, they should stop just a few meters ahead of a summit and have to descend back to Base Camp. While on the trail, you will be able to notice several small communities their customs and tradition. Limbu, Rai, Sherpa, and Gurung are the main ethnic inhabitants in this zone. Hey, never miss the opportunity to test Tongba, a warm and soft local alcohol, which is offered in the brass ringed wooden pot. The Kanchenjunga Circuit Trek (KCT) gets started from Suketar (Taplejung district), which is usually reachable by domestic plane, or alternatively, is also approachable by a roadway from Basantapur. The lengthy trek on a less populated route is somewhat plus point for us, with an original perception of life-style in Nepalese countryside and its eye-catching scenery. Initially, the path leads north-eastwards to Yalung Basecamp 4500 m. After that turns western side throughout a couple of passes and then keeps up to the Ghunsa where it climbs up to the Kanchenjunga Base Camp (5143 m) facing an amazing higher alpine surroundings. And then gets back southwest to Taplejung, the starting and final spot of the Kangchenjunga circuit trek. Normally a year can be categorized in to 4 seasons in Nepal. Weather conditions remain normally visible and temperature range is mild featuring fascinating outlook deprived of any trouble. This is a time of blooming flowers, where many types of plants and dense rhododendron forest get covered by its Flowers. Temp remains moderate and better. It is not recommended to do a trek in this region especially on summer or Monsoon period (Jun – Aug): bring heavy rainfall and Winter (Dec – Feb): weather remain extreme cold at higher elevation. For more detail please click the best time to visit Nepal. 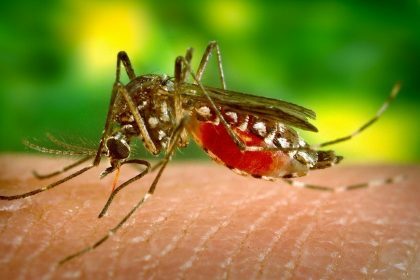 Before trekking, you must know some basic things that are vital for KCT. It is very important to acquire a special permit for Kangchenjunga trek. Because the area lies within the restricted zone. To obtain permission, a copy of passport size photo, copy of valid passport, minimal 2 trekkers and certified trekking agency is necessary. In addition, KCAP entrance grant is necessary. 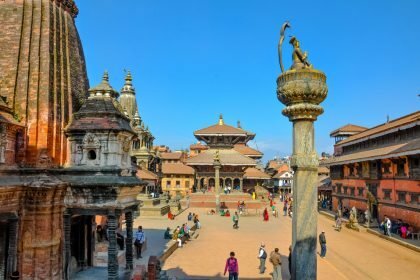 Take an early direct flight from Kathmandu (KTM) to Sukaetar, which lies in the Taplejung district of eastern Nepal or alternatively we can take airlift from KTM to Suketar via Biratnagar. Today, after landing on local airport we hike for 3 hrs. To Lali-Kharka 2275 m (7464 ft), via dense green forest and small villages. At first, we have a brief hike thru the hillside and a quick descent to approach Pakora and take a steep climb for Kunjari crossing via suspension bridge. After taking lunch nearby Kunjari again we begin our trek toward Khesewa. From where we can get mesmerizing views of Mount Kanchenjunga and Yalung Kang. We scale to Kabbeli Khola after early meal. Next, resume our trek passing through terraced field, forest acres and small stream toward Mamankhae. The area which is famous for Cardamom. Today after eating breakfast cereal we will stroll throughout the zigzag route around the impressive ridges behind the Kabbeli stream. We maintain our move and also appreciate a good looking waterfall in the area. After trekking for a little bit, we pass by a short suspension bridge. Similarly, you will bypass a tiny settlements before getting to remote settlement called Yamphudin. Today at starting phase we take a steep climb up passing via greeny jungle with stunning views of other Mountain and Kanchenjunga. Next, we descend down to cross the Omje Khola and reach Chitrae. Again, Proceed with rising on a stepped trail thru rhododendron to the Lassi Bhanjyang. In accordance with your fitness, you can choose L.Bhanjyang for an overnight stay, otherwise, we have to move for Tortong passing via Simbuwa Khola. Following the Simbuwa Khola, a great Kanchenjunga circuit trek gets going by having eye-catching rhododendron woodland. Now we can feel the altitude too and our strolling pace decreases dramatically. 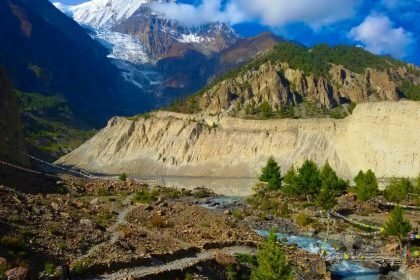 Anyway, you will stick to the trail next to the bank of smaller watercourse finding delight in outstanding view of Yalung Glacier, grazing Yaks, the Pleasing sound of the river and various other mountain peaks, until you finally arrive at Tseram. Today, we spare a full day in Cheram, because our body need to be acclimatized to the higher elevation. However, it is possible to turn out a day enjoyable by exploring the places of interest, take a hike nearby Tseram settlement and enjoy the excellent outlook of Yalung Glacier and peaks like Talung 7349 m(24,110 ft), Rathong 6678 m (21,109 ft) etc. Along with meeting local people. Whole the day today, it will be an awesome trek on a valley area. Additionally, we admire the vistas of numerous mountaintops. Initially, we ascend for Yalung Kharka, be attention while crossing many glacial channels and continue for Ramchur (Some people spell it as Ramchae) via Lapsang settlement. 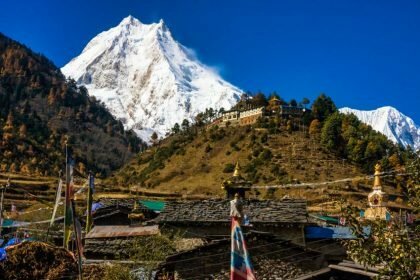 From Ramche early in the morning we move for Yalung Basecamp via Oktang Monastery, we can get the great views of Mount Kumbakarna, Nyukla Lachung and so on. And we return back to overnight stay at Cheram. We go across few passes today through Sinelapche Bhanjyang. Likewise, we continue for next pass called Mirjin La, while on the trail you can see spectacular views of Mt. Makalu, Everest, Lhotse, and Jannu etc. moreover, keep going thru Sinion-La and drop-down to reach Sele-La. We begin the process of our trek onto the northward with Tangbgharma Danda area via crossing Selele Khola. Simply, now again dropdown all through rhododendron, pine and birch forested acres before approaching beautiful Ghunsa, a bit busy area also the Kanchenjunga Conservation Area office lies here. After Ghunsa, we stroll furthermore northwards along the river bank, which presents us the incredible landscapes views. We traverse thru grazing land with full of elegant wildflowers (especially on spring season), after that pass pine and rhododendron jungles. We have to pass a short bridge at Rampuk Kharka and go across the challenging part of a landslide through waterfall. After passing the landslide section, we start to notice the amazing outlook of Mountain called Jannu. Likewise traversing and facing the tough route we bump into Khangpachen. At first, we climb gradually an icy rocky field and cross the bridge to Ramtang (4730m), you can notice Monastery over here. Along the way, we must be careful while passing thru Landslide area. 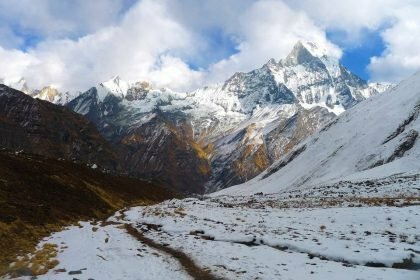 Similarly, now the trail takes us northwest of the Kanchenjunga Glaciers and finally arrive at sandy and windy place known as Lhonak, you can take a panoramic snapshot of beautiful mountainous landscape from here. Today is the main day, for what we are waiting for. From Lhonak, we take a hike for the Kanchenjunga Base Camp. 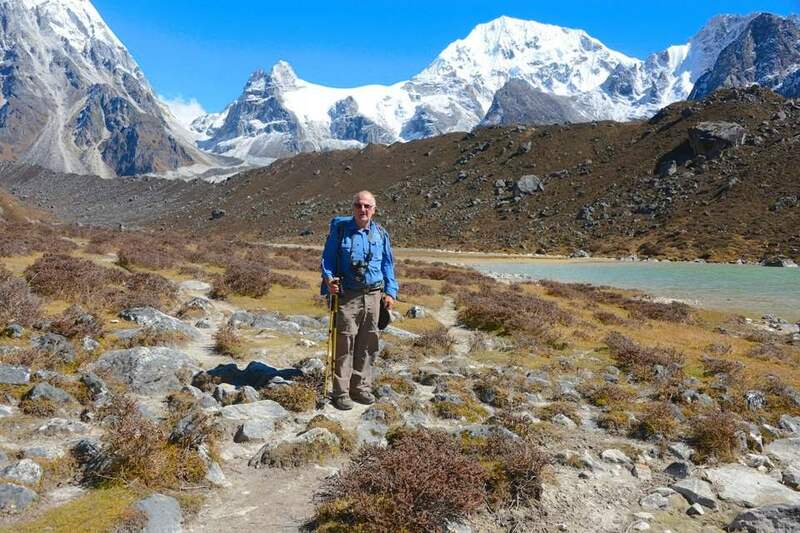 Our trekking path is just next to the massive Kanchenjunga Glaciers. Remember that, Kanchanjunga massif is just spotted from Pangpema, which is actually the base camp for climbing expeditions. If like to touch actual basecamp just decent down. Option: You can spend restless night (because of higher altitude) at Pang-pema if you can, otherwise have to descend few hours for Kambachen or Lhonak today. Dropdown, I mean just follow the same route we took before. 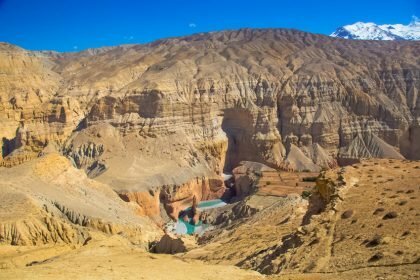 From Ghunsa, Cross the Swing Bridge and pass ancient Tasicho ding Gompa and descend via Tibetan refugee settlement, explore their traditional lifestyle and reach Gyabla, we can take lunch here. After having food, stick on the trail to go downhill. En route, we cross via thick bamboo forest acres, farmhouse, waterfalls etc. and reach Amjilosa. Today is the quarter final day of our Kanchenjunga Circuit Trek. After strolling for some time we find a gorgeous waterfall closest. We descend down to towards Solima village and cross the bridge of Gunsa Khola. Similarly, we continue our trekking for Chirwa via Thaplethok (a place where KCAP checkpoint is situated) and have to pass by many villages and cross small and big bridges according to the size of streams and rivers, before arriving at Chiruwa. You realize that the settlements are getting denser simply because we are now at lower altitude. Our trail go through lush vegetation area. We bypass many villages like pithun, Tawa etc. before hitting Sinwa. Or alternatively, you can choose via Thiwa and Linkhim. From this point, we keep our lineage then pass over the Sisne Khola Bridge. At this instant, we are now in the Pathibhara Circuit Trekking trail. We go through few more village area like Baisakhae, Tagelum as well as cross next Yaphre stream’s suspension bridge to arrive at Phurumbu. Today is the final Day of Kanchenjunga Circuit Trek. From right here, stick to the Pathivara trekking path that lead us to Suketar (2420 m). Being in restricted zone you must take a guide with you. In case if you are in problem this guide may help you to accomplish Kanchenjunga Trek.